Quest Vitamins Enzyme Digest with Betaine HCI Tablets is rated 4.7 out of 5 by 13. 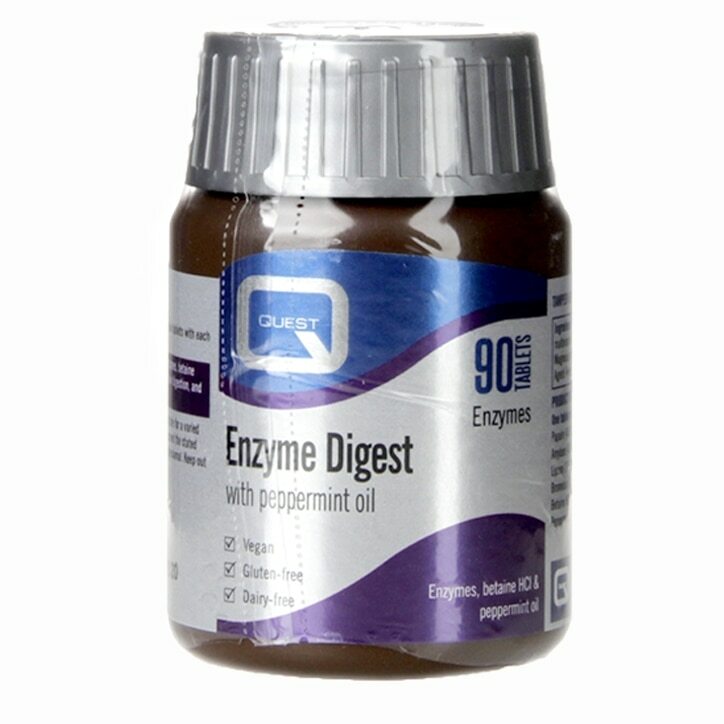 Rated 5 out of 5 by Elle7 from Great digestive tablet :) Been buying these on & off for years, I find them very effective . Rated 4 out of 5 by Mollyd from Does the job I bought these enzymes to help with my digestion as I recently went vegan so my stomach culture needed some help. I have seen a significant different since I have been taking them as I suffer much less bloating. Defiantly worth a try if you have similar problems. Rated 3 out of 5 by CharlyNZ from They help but they taste disgusting! They helped BUT they need to be in capsules because the taste is disgusting.